According to the Disney Park Blog, guests using the Disney Dining Plan will now be able to order their food via Mobile Order, a feature of the My Disney Experience app. Using Mobile Order allows guests to order their meal on their phone, pay in advance, and then skip the line once their food is ready. Mobile Order is available at 23 quick service locations throughout Walt Disney World. 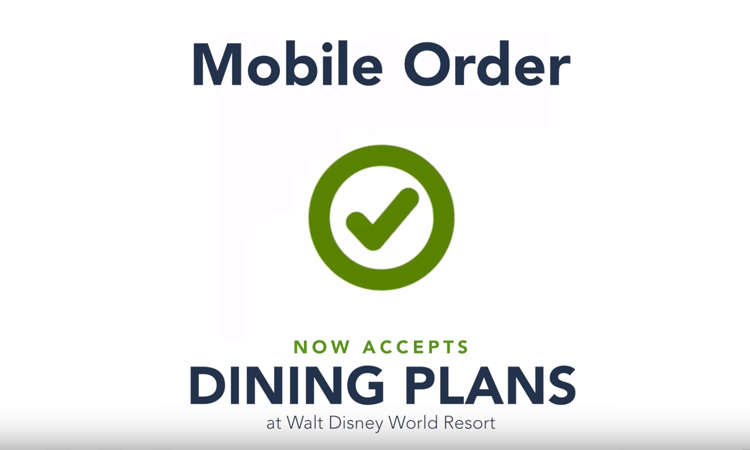 Mobile Order will be available for all three dining plans (Disney Quick-Service Dining Plan, the Disney Dining Plan, and the Disney Deluxe Dining Plan). Before you order, the app will tell you how many meals and snacks are available and how many have already been redeemed. You also have the option to not use any of your Disney Dining Plan credits by paying with credit or debit card.